The infinity range is supplied in sizes from 20mm – 110mm and has many proven advantages over competing systems. It’s fast connecting and easy to install technology ensures installation labour costs are significantly reduced. Unlike its competition Infinity has an all-round durability, robust finish and corrosion resistant tubing which ensures the system will be long lasting and against the other products on the market. Combining its efficiency and rapid installation time, this aluminium pipework system is extremely cost effective. The infinity range comprises of push fit nickel plated brass fittings and powder coated aluminium tube in 4 and 6 metre lengths. It is a true push fit system with fully captivated seals and grab-rings. With a seamless and smooth bore the Infinity pipework system offers maximum efficiency and minimal pressure drop over you compressed air system. 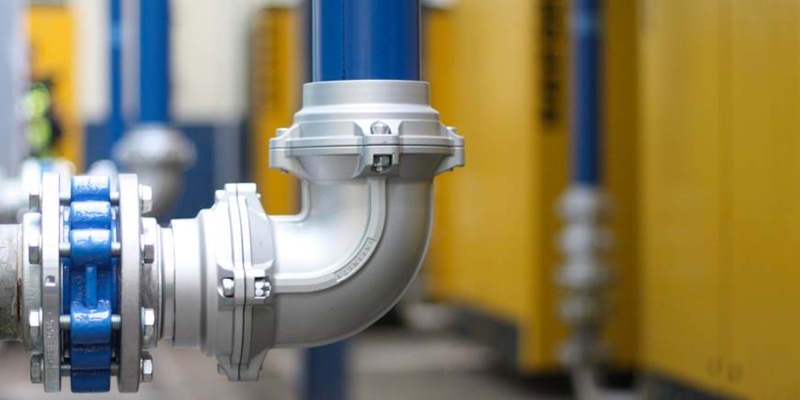 A unique feature of the Infinity pipework system is their condensate trap tee's, which are designed to ensure efficient transfer of air whilst retaining any unwanted water with the system which can then be disposed of with the use of the specially designed drain valves. To find out more about Infinity pipework systems and installation, either download the brochure or talk to one of our team.